At Beech Hill School we are very proud to be a ‘Rights Respecting School’ and achieved our Level 2 Award in 2016. (‘Article 12 of the UNCRC – your right to be listened to and have your opinion respected’). The Rights Respecting School Council is made up of elected members who give the school its ‘pupil voice’. Members of the School Council are elected after giving a speech/presentation to their class about their ideas and how they plan on representing their class members’ ideas and thoughts. 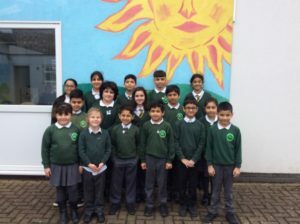 The School Council consists of one pupil from each class from Years 1 to 6. They meet once a month with our Assistant Head, Miss Jordan to discuss ideas and ways we can improve our school.